A most excellent web site you have here – kudos for the sharp graphics and clear explanations. One of the resources we’ve long linked to is a thorough compilation of notes on contrails, including many photo’s of contrails from the Spanish Civil war, WWII, etc. etc. etc. Kudos from NM, where Carnicom refused an invitation to speak to NMSR about the supposed “chemtrails” (because anyone who even questions a conspiracy IS PART OF the conspiracy, in his eyes). Thanks Dave. I’m glad you like the site. More to come – though maybe not until the new year. I don’t link to astro.ku.dk as half the links on that page seem to be broken. It’s still a good source, just a little fractured. There are several problems with your statement that what we are seeing today are just “persistent” contrails and nothing more. We are seeing GIANT contrails that go for hundreds of kilometers and cover the sky in an opaque white mass with as few as 20-30 aircraft passes. This is occurring at historically LOW Relative Humidity levels in the upper atmosphere. Also, many of these contrails are showing up on radar as being HIGHLY reflective and clearly based on some sort of ‘metallic’ substance. If people take the time to understand the science and the main points of this subject they will see that there is more to this than meets the eye. “They” have been “experimenting” on us for years which has been exposed and admitted too many times. Whats the big deal? Why are people finding this so hard to understand? Also, those military photo’s you posted. These are very deceiving as the photographs are taken alongside the aircraft at high altitude. If you were looking at these from ground level the trails would be very short just like you expect a “normal” contrail to be. Also, imagine Germany in the summer of 1943 when the Allied bombing campaign first got going. You saw HUNDREDS (up to 300-800) American B-17’s ALL in a long line, perhaps 100-200 miles long slowly trundling over Europe and Germany to deliver their deadly cargo. This took place in daylight and you would expect that at some time we would have had the PERFECT upper atmospheric conditions (around 18000ft-20,000ft) for some TRULY spectacular “persistent” aircraft contrails. How many pictures are there of this phenomenon that should of occurred at least once and been photographed? Answer…ZERO. ALL those aircraft. ALL those missions and we do not have ONE decent photo of what the mainstream considers a perfectly “normal” event? Over Esperance and all over the world ENTIRE SKY’s are being FILLED till they are an opaque white that lasts ALL DAY. This is done with as FEW as 20-30 aircraft passes over head. Why was this not seen in WW2 if it is such a “normal” event? 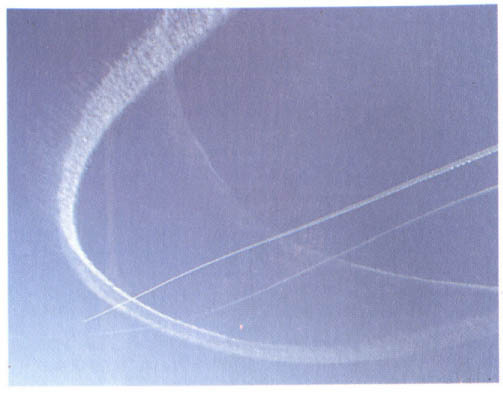 In the photo of horizontal contrails above is clearly of contrails that are at least 15 minutes old – that’s how long it takes for the pendules to form. Surely if these bombers were not leaving persisting contrails then you would be able to find a photo (from the ground) of them leaving short contrails? No? If you can’t find one of them leaving short contrails, then why should I be able to find a photo of them leaving long contrails (besides the ones above). In reality, B-17s would always attempt to fly at an altitude where contrails would not form. 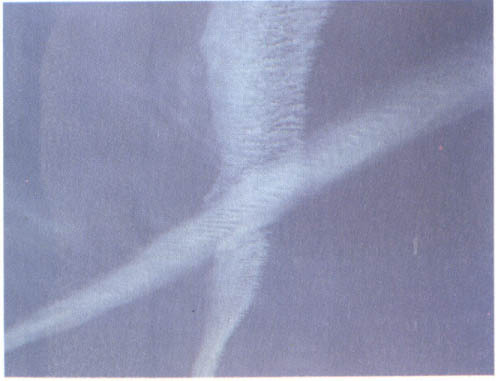 Contrails were very dangerous, as they would give away their position, and could be used as cover for attacking fighters. It was not always possible to avoid this, which is why you occasionally get photos. 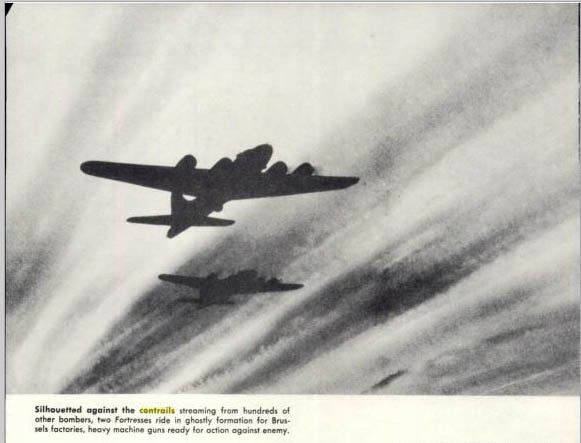 See the book “Air Force, a Pictorial History”, 1957, Page 100, for a photo of contrails of hundreds of bombers that formed a near solid sheet of clouds. I’ll add it to the end of the article above. The bird deaths in Esperance were suspected to be from lead, from the nearby lead mine, which was improperly transporting lead in a loose dusty form. Birds are very vulnerable to lead poisoning. Humidity at altitude is very difficult to measure unless you are actually there. The atmospheric soundings are taken at 12 hour intervals, at stations that are hundreds of miles apart, and the balloon can be blown a hundred miles off course during its ascent. Humidity varies a lot over time and distance. So you only have a very vague idea of what the humidity was at a particular point and a particular time. The German news report is about a single military operation which seems to be using radar chaff. Connecting this to the thousands of persistent contrails that occur every day is rather tenuous. Why don’t THEY show up on radar. Obviously this is something very different. People have been doing experiments with seeding clouds for decades, and they are still doing it. There’s nothing secret about it. 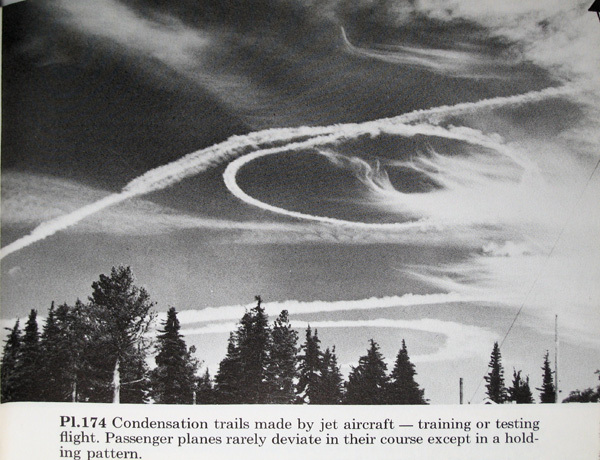 But persistent contrails have also been around for decades, and there’s nothing secret about them either. QuoTodt, I see from your article on indymedia that you promote the idea of “normal” contrails that do not spread out. But in your post above you seem to admit that persistent contrails can form under specific weather conditions. 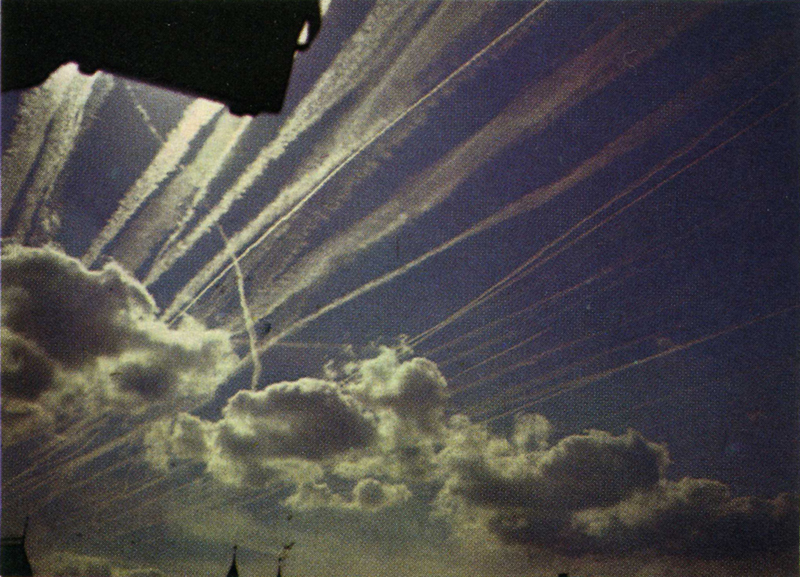 If you believe that some contrails can persist and spread out, then why would this not happen in WWII? And why post photos of “normal” contrails, when you know that contrails can persist for varying amounts of time, depending on the weather conditions in the volume of air where the contrail forms? I’m still on the fence with this. I suspect there IS more going on than meets the eye. Especially since trails I’ve seen and photographed are not very high up on warm days. Not likely to be icicles that formed. Also the fact that HAARP DOES exist and the patent for it DOES state injecting barium clouds as part of the project. I’m glad to have found this site though, because I’ve been afraid I’m making too much out of some normal activity as well. I think I’m seeing both….chemical trails AND regular contrails. This is GREAT discussion. We need to get to the bottom of this. Why would there be contrails that disappear quickly as well as contrails that stay and widen…in the same sky??? Planes looking to be at the same altitude. What about the goofy microscopic “critters” that are being found in rain water after alleged chemtrails that resemble the Morgellons critters being found in people’s skin. PLEASE don’t tell me Morgellons is all in the people’s heads. CBS did a great article on this not too long ago and the website Morgellons.org has photos as well. I’m really trying not to believe that this is all a big conspiracy. I’m open. Someone please convince me so I can sleep at night! The contrail layer can be as little as a thousand feet thick, so even a difference in a few hundred feet can make the difference between persisting and non-persisting contrails. Hundreds of things have been alleged to have been found in rain water. However, those tests are highly suspect. Show me the actual lab report, and then I’ll address it. Well, I don’t personally have access to the lab reports. I was just stating what I saw regarding microscopic pictures. There seems to be very limited research right now. Really wish there were more. I was trying to find what Carnicom’s credentials are as well. Do you know? Is he an actual scientist or is he a novice doing this. What are YOUR credentials, too, if I might ask. Is there a way to submit photos to you? I’d love for someone to take an objective look. Thanks for responding. I’m new to this site. I’m a private pilot. I fly (small) planes, and as part of the training we study the weather. We also observe the sky a lot while flying. But I’m not that hung up on credentials. I’ve given lots of evidence, in the form of old photos, scientific papers, newspaper clipping and weather books, that shows that it’s normal for contrails to persists and spread. If Carnicom has good evidence that they don’t, then let’s see it. You can email me photos ([email protected]mail.com), or just upload them somewhere, and post a link here. Yes you have given lots of evidence. This is EXACTLY the kind of stuff I’ve been looking for. I’m glad to have found this place. I even did a search for “ask a pilot” and that may be how I ended up here….most were links to a book. Sometimes I’m not sure how I end up places….but am glad I get where I need to be, eventually. You’ll be hearing more from me. Thanks! I DO hope you’ve looked into some of the HAARP info, though and Morgellons. Not sure if there is a connection, but it’s disturbing stuff. The altitude of Barium release suggested in the patent is actually in orbit – so unless it’s the Space Shuttle, that’s no reason for Barium in contrails. I love your website!! 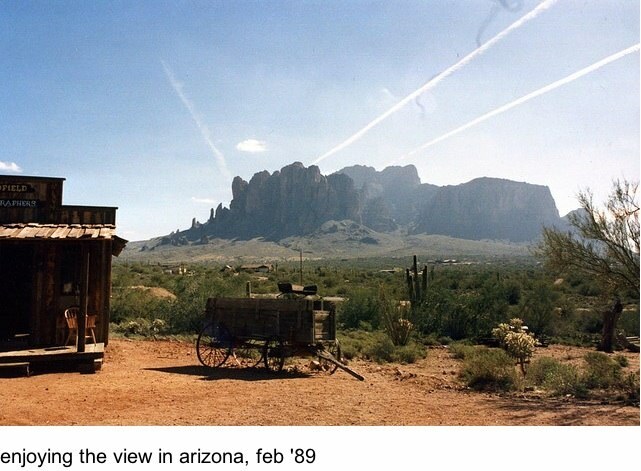 These photos are fantastic. I have several old photos of my family’s that show contrails similar to these (and those that people claim are ‘chemtrails’) as do most people, I presume. It’s all a matter of paying attention. There are most certainly government – sponsored pernicious activities affecting us daily, but I don’t think innocent lil contrails qualify 😉 I wish the people consistently claiming that ‘chemtrails’ are weakening their immune systems would look at what they shovel in their mouths every day instead of wasting their time with their heads in the clouds. Good job. Interesting. But inconclusive, I’m afraid. In describing these photos you mention “persistent” contrails. But in fact, the one factor missing from photographic evidence is time. These are frozen moments, with absolutely no indication of when, or how long. As such, they do not refute the claims that so called “chemtrails” are persistent. All this evidence shows is that at some point in time, a normal contrail looks exactly like what people are calling chemtrails. Note that I am not taking a position on whether there is a phenomenon of chemtrails. I can’t rule it out. Can’t rule it in. But without time-lapsed photos, or film, I’m afraid your evidence is inherently inconclusive. Another note on the space shuttle comment. The original patent is irrelevant. Whether it’s being done or not, that patent modified to use commercial aircraft is entirely plausible and would most certainly be effective at creating a Welsbach effect. It is also the only practical method available at sufficient dispersal of material. But what about eye-witness accounts of persistent and spreading contrails? I’m afraid that I don’t believe the persistant contrail explanation as opposed to chemtrail, which I understand to be aluminium oxide. From what I have been able to find out it is being used to counter ‘global warming’. If that is the case, I suspect it will work quite well. It will prevent measurable sun radiation from hitting the earth during the day and will speed loss of heat from the earth at night. All resulting in a cooler earth. The only problem is that it is aluminium, a very bad heavy metal for life. We live on a planet which has gravity. Something dumped at 30,000 ft will eventually make its way down to us. So the question is: Is the government responsible for aluminium being dumped into our atmosphere in an attempt to stop global warming? The answer in a question is: Do you put anything, even something as stupid as dumping aluminium oxide into our air, past our government? You can find the heaviest concentration of idiots on the face of the earth right there in Washington D.C. There are an infinite number of things that you could “not put past the government to do”, so why pick this one in particular? To at least suspect something, you need some evidence that it is happening. 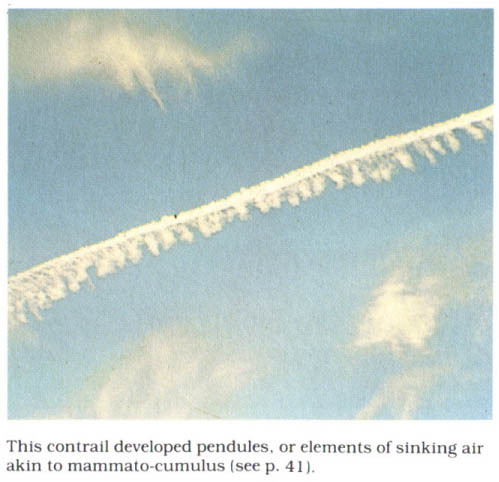 The science books say that contrails persist and spread, and the photos of “chemtrails” look just like photos of contrails from 40-50 years ago. The question really is: on what evidence do you believe that chemtrails are anything other than contrails? 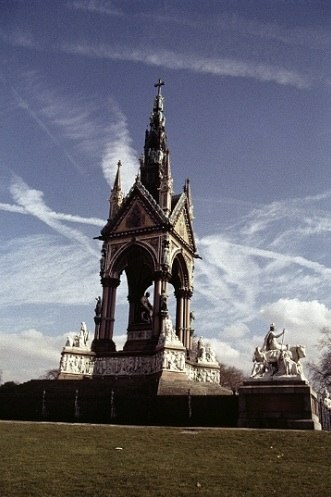 It seems strange that the people of the world have just noticed contrails if they realy had been there all the time. I have spent my life flying model aircraft, I now do some paragliding and have become very familiar with the sky and can promise I never saw these untill recently. The few and only trails I saw were contrails, never did we have any lasting trails in the sky like it is now. This is a new phenomenom and people have noticed, they want to know whats going on. To the best of my knowledge they are chem spraying ahead of weather fronts to stop rain. I can almost predict when we will see some trails by looking at the weather forecast. These trails dissolve cumulus cloud therefore controlling rain fall. Ultimately we need to get a sample of air from a fresh trail to answer our questions fully. By “until recently”, what do you mean? The key is that you did not notice them. Were you living in the same place? What time periods are we talking about? Did you notice them before you started paragliding? Now, if persistent contrail formation depends on the presence of moisture in the air, then is it surprising that you would see more of them ahead of a weather front bringing rain? Think about it: when does the sky have the most moisture in it? It’s when it’s overcast with clouds – so you can’t see the contrails. So when does the sky have most moisture in it, and you can also see the sky – well, that’s just before a weather front brings rain. Uncinus, I have been paragliding for 11 years, flying models and being generaly interested in all aircraft since I was a lad. I am now 45 years young so I could be said to be a good witness to the changes. I have spent hundreds of days camping and looking at sunsets, thunder storms and the sky in general. With regard to the weather front bringing rain I agree and so do the Met office but only yesterday and the day before we had forecast rain and a complication of fronts. I watched the jets target the cumulus to the west and no rain fell despite being forecast. The cumulus quickly died to form horrid brown squashed cloud things and they drifted out to sea. I took pics of the activity and counted 16 aircraft in 1hr 20 mins. A count including depleated trails lead to a total of about 26. This is a lot of flights over my small patch where before it was rare to hear or see anything other than military jets from a near by airbase. On days when no fronts are due very few jets ever pass, which is what I would expect since there is no air corridor over the area. The air corridor is some 30 miles west of my home but a few large aircraft do pass over, however the number increases dramaticaly when the rain is due. I have not moved to another part of the country, I see these from work where I have worked since 1978 and can assure you that this is a real phenomenon. Try looking in old pictures and see if you can spot any trails. I cant find any before about 2004. We were filming lots of paragliding right through the years and almost all the recent ones show chemtrail skies. Try looking on the met satelite images where, if you know where to look, they can be seen to be layed down over the cloud. This is most often seen when one cloud bank runs into another, they spray right in the gap for some reason. Just cant wear the “increase in air travel theory” otherwise we would all be just seeing a few more over time. No, these bloody things were never there before. I honestly wish the chemtrail thing was just conspiracy nonsense but it is clearly not. 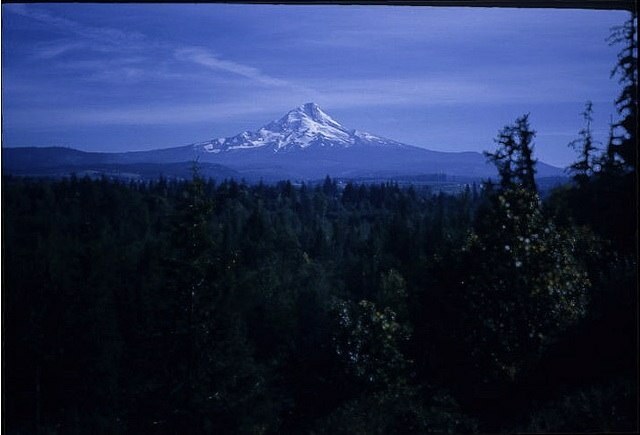 I have 2 young sons and I am angered that they rarely enjoy a natural sky or the fresh air which they have a right to. You seem very quick to discard alternate explanations for your observations. So no rain fell after it was forecast – is this actually unusual? If there’s an 80% chance of rain for five days, then on one of those five days it will not rain. You say you only see lots of jets when the weather is a certain way. Is it not possible that you just don’t see the jets when the humidity aloft is low, because they are not leaving trails – a plane at 30,000 feet, especially a corporate jet, is nearly invisible unless it leaves a trail. You have to be scientific about these things. Take say, 100 photos prior to 2004, and 100 photos after 2004. 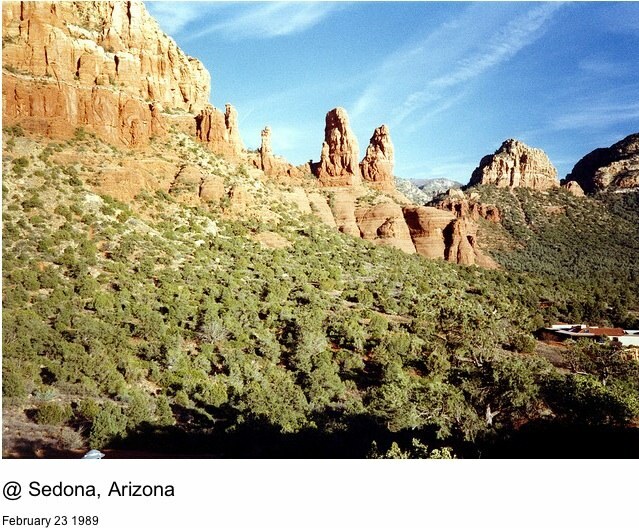 These photos should have the same kinds of locations and types of exposure, and times of year. Are there actually more contrails PER PHOTO in the newer photos? Is it SIGNIFICANTLY more? Somethings that might lead to the assumption of more contrails is that we take significantly more photos nowadays, and being digital they are easier to see contrails in, as they are viewed on a large monitor. The exposure and resolution is a also a lot better than your old family snapshots. Your paragliding videos for example, what equipment was using each year, and what did the sky look like on it? How many videos did you make per year? How many videos, exactly, show what the 1970 article calls “a familiar sight” and you call “chemtrail skies”? Hi Uncinus, glad you are in on the subject and nice to blog with you. Firstly I would like to make it clear that I observed first the presence and later the effects of contrails (chemtrails) before looking at any youtube/google stuff. When I did look on the net I was bowled over by the amount of people who were also wondering, not just from UK/US but all over the world. Try using foreign languages in your search and see what I mean. People who live in the middle of nowhere are now being invaded by contrail activity. This alone should raise the question-why? They cant all be nuts. I fully understand the theory behind contrail formation, indeed I have observed them all my life. I read the science paper from 1970 and believe all it says, however contrails do not produce an aerosol bank at low level. This horrid brown hazy aerosol which regularly cuts visibility is also a new phenomenon. I live in Scotland where the air was fresh and the sky was never filled with contrails or visibility reduced by anything other than cloud/rain. This morning I woke to find the sky full of building cumulus but the air was thick with a pollutant which caused the blue part of sky to be nasty grey/blue. I knew that contrails were formed over a cloud mass way down off the south west coast of England the evening before from looking at the weather sat images and I followed the path of that patch as it drifted right over us this morning. Now I cant say for sure but having observed sick skies seemingly caused by similar activity before, I was not overly surprised to find it had an effect on the sky today. Now in this part of Scotland until recently we rarely ever saw a large jet fly over, now suddenly the sky is filled with them all within a few minutes. The cloud should have continued to build but within 12 mins it was gone. The over developing cloud in the west which was sure to bring rain also diminished within a short time leaving the sky a mass of trails. Where did the cloud go? There was no way all that cloud can disappear in such a short time. Strangely the aircraft activity stopped as abruptly as it started again. I have also witnessed and photographed aircraft which fly in circles on these days, they fly anticlock with a lap of 20mins or so. I have owned a beat up cloud spotter book for years and only recently have I seen clouds considered to be rare in my own sky. This, of course is great, but the worry being that they are now a fairly regular occurrence and there are a few clouds which are not in the book. I really hope this is something I mis-interpreted. I do regularly try to debunk myself but my observations just seem to keep propelling the mystery. Example, I went outside just now 3am, it’s dark and the air is warm and very still. In a bright light I can see millions of little fibres in the air. This is undoubtedly what causes the haze at ground level for sure but what is it and where does it come from? I have no clue but its appearance also coincides with contrail formation. We had a short period of no contrails and realy clean air for about 19 days recently (no fluff) but contrails have been regular again since 13th April and the fluff is back and I can hardly see clearly any further than about four miles. I dont want to believe any stuff about fibres in chemtrails but unfortunately I seem to be faced with some worrying observed facts. I realy would rather believe all was normal but it is not. All good science must use data, observation and common sense to reach an honest conclusion, well I am almost lost when it comes to atmospheric soundings but I can give you dates of recent contrail activity and you are welcome to help me out with trying to understand how these trails and clouds lived and died using stored data. With regard to observation and common sense, the alarm bells ring loudly warning me all is not as it should be or used to be. Bruce, you sound like a very observant person. I can’t really explain everything you are seeing, as I’d have to see it for myself. I live in Los Angeles, and here it’s generally sunny, with blue skies. Very different weather to Scotland. But I’ve got a few points. Firstly, there are a lot of flights over Scotland. Specifically flights to the US, like from London and the Continent to New York. Most famously over Lockerbie. Then you talk about trails at 30-40 thousand feet (which is where most contrails form), and then the dissipation of cumulus clouds within 12 minutes of these trails forming. You’ve seen contrails, and they barely shift over 12 minutes – so how could they affect clouds thousands of feet below them? In a bright light I can see millions of little fibres in the air. This is undoubtedly what causes the haze at ground level for sure but what is it and where does it come from? Again, I’m not there, so I can’t tell. But why not some kind of pollen, or some kind of seed type thing, probably from trees? Perhaps you could post some photos, so we could have a better point of reference for discussion. (Looking at those reminds me just how cloudy the UK is). And you did not really address my point about the old photos. 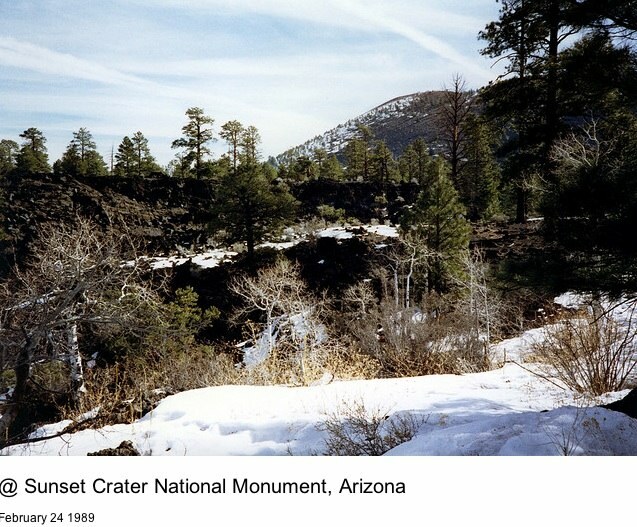 If there really were more trails now, then you should be able to see more trails in new photos than in old photos. This does not seem to be the case, judging by the normal holiday photos that people post online. Do you agree? Find the contrail, and the four mile visibility. Hi Uncinus, I looked at the pics of Scotland and none of them show anything strange about the sky. I do not expect you to be able to explain the condition of the sky here but I see you are fairly sure there is probably nothing going on. I have tried science but it does not match observation realy. However, lets just pretend there was a weather mod. opp. going on and we were told about it but given no details of how it was achieved, the only to understand how it was achieved would be to observe. So weather mod may be very advanced or very primative but essentialy the mixing of air would have to be controlled. As you will know a cloud carries energy so if you wanted to mess with the energy you would target the cloud. This seems to be what I see but I still hope I am wrong. With regards to the contrail, I it may be possible that it is not the lasting visible part of the trail which is active. Indeed it is very possible for a heavier substance to fall through the lower density air and enter the cloud top within minutes. The white mark in the sky is possibly only a marker, the active part is invisible but gathers as a fine suspended dust at lower altitude due to the increasing air density. The ability exists to make fibres which by being hydroscopic may achieve this, a weather mod company called Dyno-Mat allegedly do something like this. The old photos would convince me if someone could show me plenty pics of contrails, wierd clouds, brown haze and vibrated cloud from years ago. Remember that air travel is not new, the cold war filled the sky above my home years ago with all sorts of high and low altitude jets and they only ever had a dissipating trail if any. The air corridor has never been busy and it never is unless it is lasting trail time. With regard to the rainfall, despite what the weather man says, yes ther is less. I realy know this as I ride a motorcycle and can assure you I need my waterproofs less. Also the stream behind my house has reduced in size, almost dry in the winter just past. Perhaps your just lucky that your part of the world is not polluted with these trails. You are right to worry over your children. In the early part of 2007 I noticed a drastic change in the skies above my village, numerous jets were leaving massive trails behind them which seemed to join up and form artificial clouds. Days that started of with clear blue skies would before midday turn white with these jet fumes. As I do not live under a fight path the appearance of these many planes aroused my interest and I searched the internet for an explanation. I very quickly discovered the many chemtrail sites from all over the world. I was at first sceptical but as the year wore on became less so. In August following many days of excessive contrail/chemtrails activity, two previously healthy evergreen trees suddenly started turning brown, within a week both were dead. Many of my neighbour’s large evergreen hedges also suffered the safe fate. In all my gardening years I have never seen such a fast die off of healthy foliage. The way these trees suddenly died greatly concerned me and I decided to have a urine test for heavy metals, I also insisted on my son and daughter who live with me having a test. The results of these tests horrified me and confirmed my fears regarding the jet trails. My urine and my daughter’s urine were found to contain more than five times the amount of barium than is considered acceptable by EU regulators as well as elevated amounts of aluminium, my sons urine test however proved quite normal. My son suffers terribly from hay fever and never joins us in the garden, he is also rather lazy and drives absolutely everywhere even to the corner shop which is less than five minutes walk away. My daughter is like me and spends as much time as possible out of doors, mainly in our garden. None of us smoke and we eat much the same food. The only difference in our lifestyles is in the amount of time we spend outdoors breathing (fresh) air. No one including doctors can explain where this massive amount of barium could have come from. I live in a typical Surrey leafy suburban village miles and miles away from any factories or industrial sites. Due to the dangers of this barium contamination I took my daughter to India where we spent three months undergoing Chelation therapy. I returned last week my daughter returns next week. When my daughter returns we will take another heavy metal test. I hope and pray that the chelation has worked. If as it sounds you are in an area being sprayed then I beg of you to get yourself and your children tested. There are many independent laboratories that will do a urine test, however my doctor whom gave us the chelation therapy said that hair follicle analysis gives a more accurate diagnosis of metal poisoning. People need to be warned about our breathable air and take tests before it is too late. I do not believe that we are purposely being poisoned but does it really matter. We are told cancer will soon affect one in three people; maybe these chemtrails/contrails are the reason why. I have tried science but it does not match observation really. Then either science is wrong, or your interpretation of your observations are wrong. It’s you vs. science. I tell you that the Met Office has reported increased rainfall in Scotland for three out of the last four year, and you tell me that you feel less wet while driving your motorbike, and the stream behind your house seems lower. So what’s going on here? What’s more likely, the Met Office is lying, or you are mistaken? There are THOUSANDS of amateur meteorologist, who measure rainfall. Don’t you think some of them would say something if the Met Office’s figures were off? I show you that old photos and new photos contain the same amount of contrails. You say you’d be convinced “if someone could show me plenty pics of contrails, weird clouds, brown haze and vibrated cloud from years ago“. Well, what about the photos in this post? What about the photos in your old cloudspotting book? I see brown haze very frequently here in LA, especially inland, but I don’t know what your brown haze looks like, perhaps YOU could post a photo. And what are “vibrated clouds”, anything like a “mackerel sky”? If science is not matching your observations, please don’t just throw out science. Make sure your observations are actually scientific. Ask a scientist. You might have convinced yourself – but if you can’t convince a scientist, then does that really mean the scientist is wrong? What if it were ten scientist, or a million? Perhaps you need to re-examine things from first principles. I can assure you that I did not come across chemtrails/contrails on the internet then start looking up and imagining differences in the sky. I noticed a big change in our skies first which prompted me to search the internet for an explanation. As for falling pray to quacks promoting herbal chelation I did no such thing. The chelation therapy I underwent was amino acid administered intravenously, a process which altogether took three months to complete. There have always been unscrupulous people ready to trade on peoples fears, real or otherwise, thankfully due to the internet you can if you take the time usually weed out the charlatans from the genuine people available. The excessive aluminium and barium levels in both mine and my daughters systems was analysed by Trace Labs not a quack. I am unable to find any other explanation for these metals being in our system despite spending many hours researching. Whether these trails are Contrails or Chemtrails I care not, they are very noticeably reducing our sunlight as well as leaving barium and aluminium deposits in our breathable air. Caroline, have you considered that your elevated barium levels might have come from somewhere else? It seems rather odd that it’s just you and your daughter – there should be millions of people who have this problem if it were really related to contrails. Also million of evergreen trees should be dieing, not just the ones in your garden. It seems rather tenuous to link your ill health and some dead trees to a week of heavy contrails. Especially when it affects some people but not others. It seems your son, who does not have elevated Barium, is in far worse health than you. Out of interest, what were your barium levels, and what is the EU safe level? And why did you have to go to India for this therapy? Uncinus, you failed to show an open mind there at the start of your last statement. You say either science is wrong or my interpretation is wrong but you never once show an open mind by even considering I may be right with my weather mod theory. Weather mod is a science and well worth a look. The US gov have openly anounced plans of “owning the weather” and have in the past researched weather mod for warfare and other uses. I would expect they are continuing with their experiments with the intention of using such technology at some time. It is not me versus science, since there is no science known to me which accurately fits my observations yet. As I said before I have no bias toward or against any theory, but I have observed big changes and keen to find out the reason. Remember that the contrails came to me, I did not suddenly decide to make an issue of it after forty something years of failing to notice them. With regard to the met office rainfall reports and the concept of lies being told. Again observation, not expectation has proven how our own police force and government have mislead us over issues in the past. This being the case then so can their military run met office lie as ordered. I am not saying it is the case but it is possible for them to lie if they realy needed to keep a cap on something. I am disappointed that you dismissed Caroline Carter as being paranoid, good science has a balanced view on all possibilities untill proven wrong. Living where you do I would expect you are used to seeing vehicle and industrial pollution, perhaps your sky has always been horrid so you dont see the change. Perhaps hardly any planes fly over your patch anyway or you never looked up till recently and think it is all normal. Rainfall is random and it is impossible to draw any firm conclusion from sampling amounts taken at widely spaced locations. It could rain more in one part of the west and far less in the east or randomly rain more or less where the measures are taken. If I lived far from a met rain gauge and did my own measurements of rain and found I had recorded twice the rainfall than they had in a year, I would correctly assume that locality was responsible for the difference. All the rain would have to be measured and we know that is not done so it remains only an estimate. My local military base does an hourly observation of rain, visibility etc. Despite being a trusted source only 2 miles away they often report wrongly, especialy visibility estimates. The skies depicted in the books are probably not from photos taken in scotland. The sheer amount of air traffic seems to far exceed the assumption that the net cause is an ever growing popularity of commercial flying, but only on certain days. Jets would be an almost usless stealth weapon if they all left a huge white trail behind them, no need for heat seeking nonsense, just follow the big white line. I find it strange how we have had water meters fitted recently when we live in a country which usualy gets more water than we need. 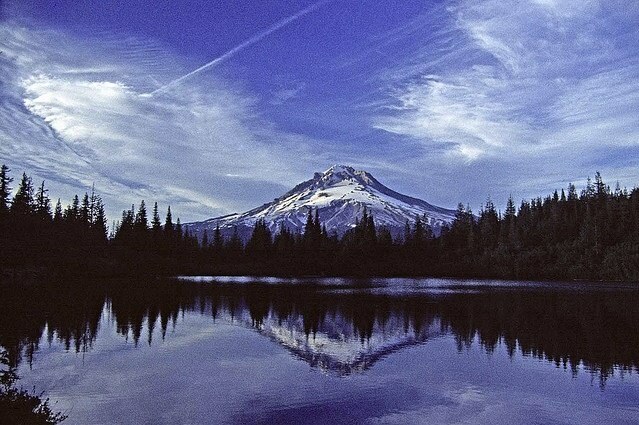 Perhaps the contrails are used to wick water away from certain areas. Perhaps our government are warning us of rising sea levels because the ice at the poles is melting or being melted or being starved of snowfall by weather mod for the purpose of mineral extraction. Perhaps we just have strange weather nowadays and lots of people are suddenly flying off on holiday right over my house. Perhaps my eyes are on their way out and/or I am mentaly unstable. Perhaps I had never realy been observant of the sky and have just not noticed before. Perhaps the new european air traffic control just by chance tell the pilots to fly over at such height as to accidently cause a lasting trail. Perhaps the jet fuel has changed, perhaps the large induction engines produce a lasting trail. Perhaps paint is being blown off the fuselage and making a cloud. Perhaps cleaning of car exhaust gases by catalyser has caused more pollution, not less. Perhaps the military are using some special fuel and are flying extensively over my patch. Perhaps my neighbour is secretly beating the dust from a carpet at night. Perhaps I now see airliners fly in circles where no holding stack exists because the pilot is lost. Perhaps I am wrong that the sky used to be so dark blue some days that it was almost possible to kind of see the darkness of space. Why cant I see the milkyway in the sky on a clear night anymore? Why does the bright star low on the horizon change colour more noticibly than before? Why do these planes suddenly appear all at once? What are these funny clouds about? Why do the planes often have L/H engine trail different from the R/H engine trail? Why do the trails look and behave so remarkably different. Why does the trail suddenly start stop and fail to fade out at the ends even after hours of air mixing time? Try searching KC135 on Google images or any high altitude flying pics and see how many contrails there are. Please dont think I reject science, I never do that. However science and common sense need to fit the observations. Observation is the only hard science which exists on this subject. Any scientist who worked on theory alone would soon stumble if he drew his conclusion from expectation not observation. You expect I see contrails, maybe I do see contrails and nothing more but I keep an open mind. 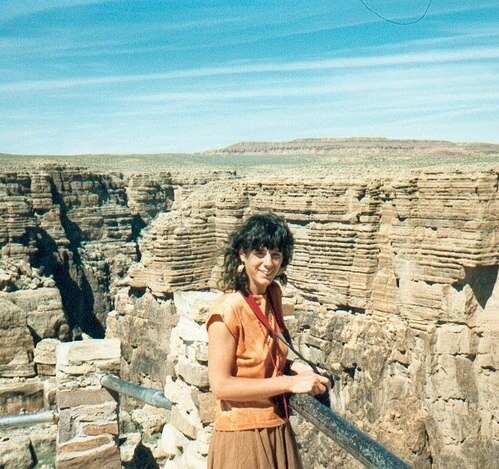 I would appreciate input on the subject from all who think freely, including Caroline Carter. Indeed, observation is the basis of science. Most scientific theories begin with an observation that needs explanation. I really can’t address all your observations, as I’m not there, and you don’t post photos. I don’t know what “these funny clouds” are, because I can’t see them. Let’s take one thing though. You claim that rainfall has decreased (since 2004? ), and that the Met office and your local air base are reporting inaccurate figures. This should be easy to verify, as rainfall is nice simple numbers, with accepted methods of collection. Right now, your case seems to be a rather tenuous bunch of observations, and some wild inferences as to the causes of those observations: It seems to you that there is less rain. It seems to you that there are more contrails overhead. It seems to you that the air is more hazy. These are all subjective observations. In order to be taken seriously, it’s important to be objective. That means you need actual figures. Actual measurements and statistics. Take the rainfall. Your stream is running low, and you wear your raincoat less often. These are not good measurements. A good measurement would be setting up a rain gauge, and measuring the rainfall daily for a couple of years. Now you don’t actually have to do this, you can just find someone else who has, and take their figures. There are many on the web. Now take these rainfall figures, say from the last four years, and put them on a graph of the rainfall figures for the past 50 years. Is there a statistically meaningful variation? I think you will find it varies quite a lot from year to year. Bottom line: you say the weather is being changed, so you need some hard data that the weather HAS changed. Hard data is exactly what I need , may be hard to get as just like I said in my first post, we need to sample the trail from one of the offending aircraft. This would be easier than buggering around with lots of data collected over several years. If only I could find enough people willing to share the cost of doing just that. Obviously there would be no takers, because you are unable to make the case for doing it without hard evidence. And, no, this is not catch-22. It’s taking things one step at a time – first you demonstrate that something is happening to the weather (which you could do VERY easily with rainfall figures, if your theory is correct), and then you try to find the cause. So the next step would be to actually establish a correlation between contrail activity and changes in the weather. Then you’ve got to show that it’s not the changes in the weather that cause the contrails. 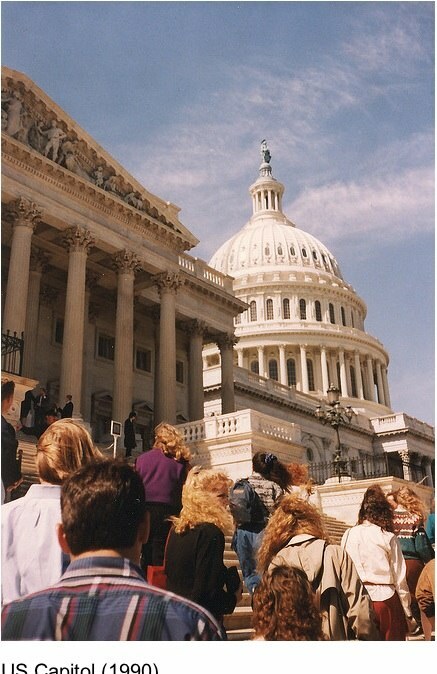 Then you can present your finding, and there will be no shortage of people willing to investigate. You are seeing conditions you don’t understand. The “chemtrail” theory seems to you to explain these conditions. But it might be much more complicate than that. What you are seeing might have mutliple causes, including the variable weather, but also including your own observer bias and your apophenia. Perhaps you might like to do some “Contrail Diagnosis” in your area. 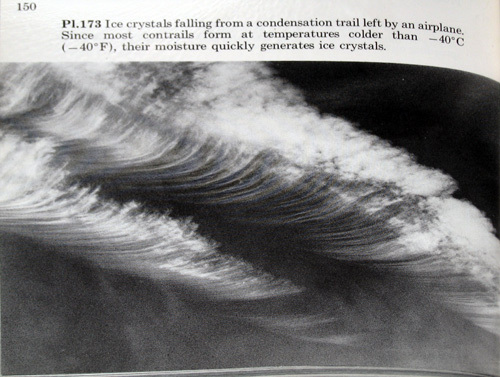 To understand why contrails stay in the sky for a long time, and why there are breaks in some, a fundamental concept is supersaturation with respect to ice. Contrails are ice clouds, cirrus. The “chemtrail” explanation is an exquisite hoax. There are “takers” out here who have done most of the work for you… They would then be “givers”, Yes? Cheers, Uncinus, you’re doing a great job here. For Ross to claim the chemtrail explination is an exquisite hoax does not fit the available data much of this seemingly an arguement about when apparent evidence of chemtrails were first recorded. The problem with Ross’ arguement, in my opinion, is that evidence indicates children are being taught in school “A is for apple B is for boy and C is for chemtrail” (put that in your search engine) this being to help “global warming” so the government seemingly admits here and elsewhere that what we are witnessing is chemical modification of the atmosphere. I live on the east of Scotland and although having vivid memories of childhood seeing contrails which could be long, I have no memory of what I am seeing now which is contrails which are thick and take on a cirrus appearance, as per the type referred online as chemtrails and I am now seeing them almost daily. I first became aware of the chemtrail issue after a series of circular chemtrails, involving RAF Kinloss, appeared over my home last November. Shortly after I fell foul of a very dibilitating flu which left me with no energy to go to work (self employed) which lasted for months. In fact almost five months on I am still coughing. I have never experienced anything like it and know of others who were very ill and apparantly there were many. To get more information I have approached my health centre for their opinion. My concern is that the government freely admits to spraying biological warfare weapons on the general public in its research (see article below). 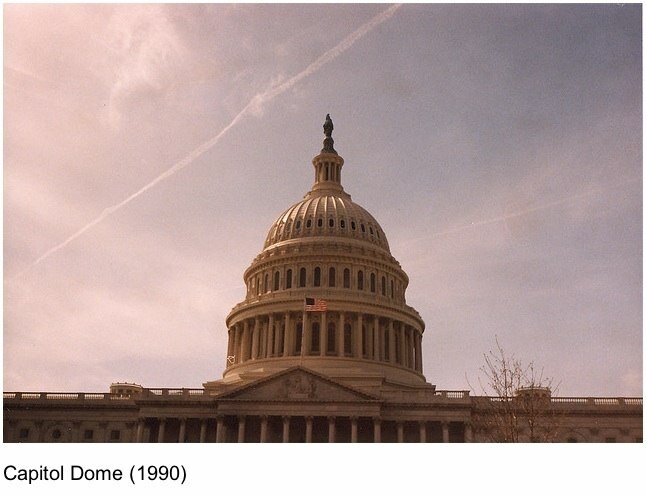 I sent photographs of these chemtrails to carnicom.com and apparently they have never seen such a pattern, indicating deliberate targeting in so much as it wasn’t simply passing aircraft. I live under the P600 airway and observe large jet aircraft passing overhead crossing the airway in the direction of RAF Kinloss. In doing so they leave short contrails. A few hours later similar aircraft which are, given the infrequent nature of such a type of traffic, almost certainly the same aircraft, return in the opposite direction only this time they leave stop start chemtrails which suggest to me they are being loaded up at Kinloss. I have observed a pattern of weather behaviour when this apparent spraying occurrs. Like Caroline I have a garden to attend to. On the last occasion I was gardening I looked up saw three chemtrails and thought “Great, the sky is about to go!” Very shortly afterword the blue vanished and it became totally overcast the appearance such that we were going to get rain but didn’t and this overcast sky lasted for days. It is becoming the norm. When it rains now, we often get very little as was the case today. Sometimes there is heavy rain but heavy rain was the norm here. As for the figures we had a lot of rain last year, as I recall, but I suspect we are now having less and this may be a trend, so in my opinion, the data on rainfall for Scotland or at least this area which is largely agricultural, starts here unless that is the data being referred to is for the whole country most of which is mountainous and not agricultural in that rainfall is being reduced over both agrcultural land and urban connurbations. In fact on the 13th April 2008 I observed one contrail starting and stopping directly over the city of Perth this being a relativly clear sky on that occasion, the existance of clouds making no material difference. 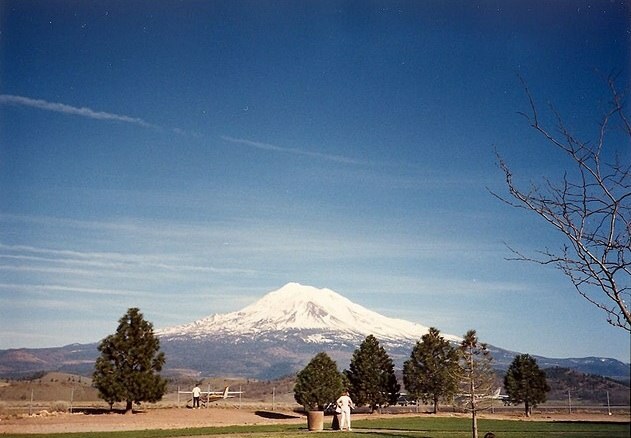 (What effect it had I cannot say as I was traveling across the country at the time. The sky however is not the same here as it used to be and given strict EU legislation I would expect pollution in general has reduced in this area with the exception perhaps of the aerosol issue. The problem with Ross’ arguement, in my opinion, is that evidence indicates children are being taught in school “A is for apple B is for boy and C is for chemtrail” (put that in your search engine) this being to help “global warming” so the government seemingly admits here and elsewhere that what we are witnessing is chemical modification of the atmosphere. That’s rather a huge leap of reasoning. Since the govenerment actually denies any such thing at the highest level, then some speculative (yet essentially correct) predictive science in one particular school text book can hardly be deemed an “admission”. I don’t either. But I don’t really remember much about the sky from when I was young. I trust the photos that show these types of contrails going back to the 40s. Do you trust your childhood memort over the science books and newspapers? I first became aware of the chemtrail issue after a series of circular chemtrails, involving RAF Kinloss, appeared over my home last November. Shortly after I fell foul of a very dibilitating flu which left me with no energy to go to work (self employed) which lasted for months. In fact almost five months on I am still coughing. I have never experienced anything like it and know of others who were very ill and apparantly there were many. To get more information I have approached my health centre for their opinion. You saw some jets practicing high altitude holding during flu season. My concern is that the government freely admits to spraying biological warfare weapons on the general public in its research (see article below). 30 years ago they sprayed harmless tracer agents from a low altitude to see how far they would drift inland. Most recently (1975)they used a particular strain of serratia marcescens, of which there are several billion within three feet of you right now. These were low altitude tests that look nothing like contrails. I sent photographs of these chemtrails to carnicom.com and apparently they have never seen such a pattern, indicating deliberate targeting in so much as it wasn’t simply passing aircraft. A few hours later the weather condition will have changed, which could lead to the “start-stop” contrails. 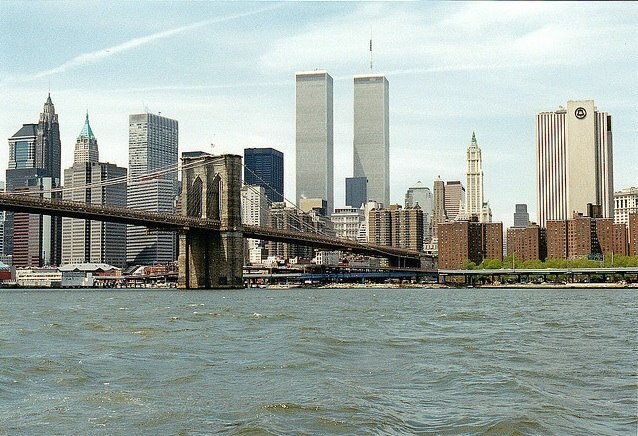 The planes going in the other direction would also have to be at least 1000 feet above or below the first planes, which could account for the difference. As for the figures we had a lot of rain last year, as I recall, but I suspect we are now having less and this may be a trend, so in my opinion, the data on rainfall for Scotland or at least this area which is largely agricultural, starts here unless that is the data being referred to is for the whole country most of which is mountainous and not agricultural in that rainfall is being reduced over both agrcultural land and urban connurbations. So, even though the scientist say there is more rainfall, you think there is less? Anything to back this up? Any figures? In fact on the 13th April 2008 I observed one contrail starting and stopping directly over the city of Perth this being a relativly clear sky on that occasion, the existance of clouds making no material difference. 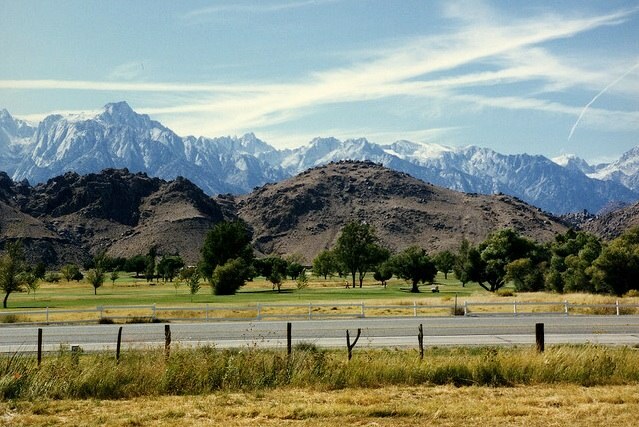 (What effect it had I cannot say as I was traveling across the country at the time. I’m not sure what you point is there. I am not Bruce. Are you an agent of your government? I hope I have merely demonstrated incoinsistancy in one particular arguement: There are other sources which the blog has raised apart from this textbook. It is not so much “reasoning” but observation which I find gives grounds to question one particular side of the arguement. How do you know it is “speculative”? Were you involved in the production of this textbook? If the public sector is indoctrinating schoolchildren to believe chemtrails are to address global warming then I consider the word admission reasonable, the information simply coming from a different source within the public sphere but clearly for a different reason. What is it you suggest is essentially correct? The fact the government is releasing material in the atmosphere to address global warming? I used to have a brilliant memory. 1. Two from fighter jets. 2. What appeared to be a civilian airliner. 3. Two stop start chemtrails. The chemtrails were very distinctive and I am satisfied I would remember such a contrail type from childhood if they were normal. At least we are agreed that we have no recollection of chemtrails from childhood but I have vivid recolection of normal contrails. Both our positions on this gives support to the chemtrail argument. Do I trust my childhood memory over science books and newspapers? The one thing I don’t trust is the mainstream media and as for science books I trust some and distrust others. I trust what I know to be right not what I think to be right. In short yes I do give priority to trust what I remember over what I am told by third parties. Contrary to your words, I saw both high altitude and low altitude military activity at that exact same time giving me reasonable grounds to believe there may be a link. Put it this way, if there was a bank robbery in a certain location and at that time a white van was seen driving at speed in the locality the police would want to investegate any possible link. If you were chief of police and dismissed such observations as “a huge leap of reasoning” and not worthy of consideration I would want you replaced. You have dismissed a potentially very interesting flu experience as though such were normal when I pointed out it was unprecedented in my experience. For you to hold your position on “germ warm tests” in the UK you would have to have held a very senior position within the MOD for you to know there were only the two tests you refer to carried out in this 30 year period. Yea right! Anyway that was then; this is now. I have only just joined this discussion and your statement “send me the photographs” I find both demanding and rude. I found carnicom.com both curteous and considerate my having forwarded such for an opinion. On that basis I am happy for them to have sole right over them so I suggest you ask them for copy. I accept your explanation is indeed worth consideration regarding start stop contrails however all three types above observed today displayed a possible start stop phenomena but only the two chemtrails behaved anything like chemtrails. I trust that observation is helpful as I can see your arguement that normal contrails can display similar properties to chemtrails but in my observations only very slightly. I am not interested in providing rainfall figures I just know contrary to what has been said that we had unbelievable rainfall last year where I live, it being the bane of my life, one reason I get fed up with this climate. As for the reference to Perth, I simply observed a single standard chemtrail directly over a city. Is it possible future evidence might suggest the possibility of experimentation to target an urban connurbation by our MOD in weapons testing? What do you want? 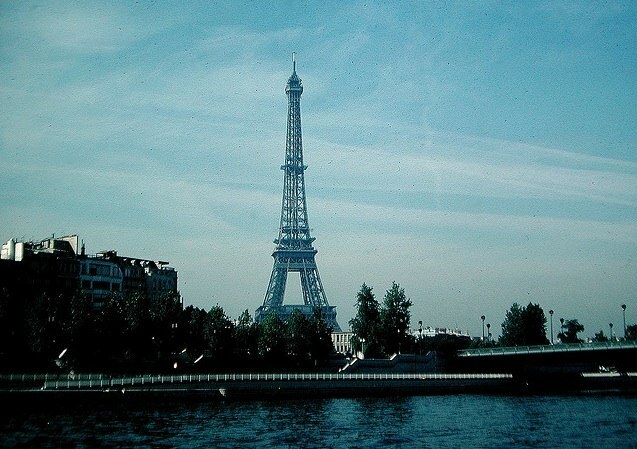 For me to provide you with old photographs without chemtrails on? Again I have no interest in providing you with photographs suffice to say I am seeing arial activity which I have no recollection of seeing before. How difficult is that to comprehend? I don’t in anyway mean to be rude but I joined this blog today to share observations with a view to both contribute and be helpful. Your whole attitude I find abrasive and intransigent. It just seemed a bit of coincidence, I don’t get many commenters – then two from Scotland using the same ISP in two days. What is correct is that particles in the air block sunlight, and that people have suggested it as a solution to global warming. That’s all the book is about. It gives a list of various things that have been proposed to combat global warming, including dumping iron in the sea. It’s one out-of-print science book. It’s meaningless. When you were a child you were concerned with other things, like playing games. Now you are grown up you are highly concerned about contrails, so you look at them more closely, and notice things you would not have noticed when you were a child. Does it never strike you as odd that the people who have not heard of chemtrails do not notice anything odd about contrails? If they do not notice it, then why would you notice it as a child. This seems to suggest contrails have always been like this (although there are more now, as there is more air traffic). There’s a problem – for if you only trust what you can see, then you will never get to the true facts of things. Do you believe the sun goes around the earth, or that the earth is flat, or that the stars are fixed in a firmament? Because that’s what they look like. Science tells us otherwise, and it gives us the means to verify its claims. Except in this case, there has not been a bank robbery, and there has just been normal traffic. Flue seasons are pretty random. There are good ones and bad ones. I’m not dismissing it, I’m just saying there’s no discernible correlation. I was going by the article you posted a link to, which detailed all the tests that had been carried out. There were many more than two, but I just mentioned the last one to explain the nature of the tests. I’m not trying to be polite. I’m trying to be scientific. If you’d sent the photos to Carnicom, then I’d assumed there would be a link to them. If you don’t want to post your photos, then it can hardly be helping your case. Different jets and/or different altitudes produce different types of contrail. Can you explain then what the difference is? Because all the photos I’ve seen look like photos of contrails. Bruce, also in Scotland, seems to think that rainfall has decreased. You see how two people observing the same thing can come to different conclusions. No, I want you to provide NEW photos that have “chemtrails” in them. Specifically photos that are of something else in Scotland, that just happen to have chemtrails in the background. If they are as common as you say, then there should be lots of them. It’s perfectly comprehensible. However we differ on what it means. 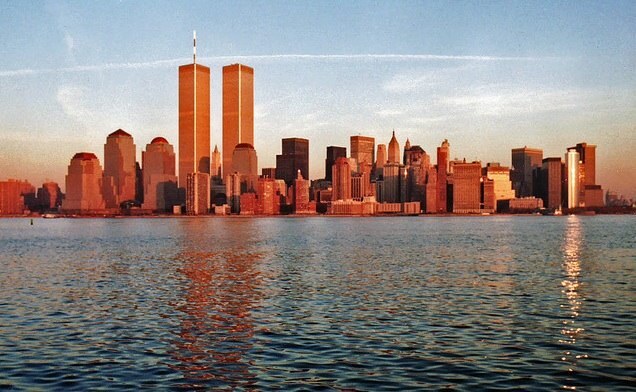 I think you just don’t remember because there was no reason for you to remember – exactly the same as 99.99% of people today, they don’t notice, and if you ask them again in 10 years, they won’t remember. Memory is fallible. Photos are less fallible. You are perfectly correct that there must be millions of people with elevated aluminium and barium levels if these substances are in our breathable air, however people will not be aware of these elevated levels unless they are tested. It is for this reason that I have decided to advice my colleagues and friends of my apprehension and recommend they too take tests. My gardener has readily agreed to take a test and will this weekend ask his grown children to involve themselves. Yes I did look for other explanations but as the levels of barium levels in my system were similar to that of an an unmasked welder there were few places to look. As for my sons health I do not consider laziness an illness and hay fever is a very common if aggravating condition nowadays. You are also correct about the evergreens, maybe I did not explain myself very well, my neighbours evergreens also suddenly died as did many in the village. All these evergreens were of the same type and healthy. Normal ranges for Urine Barium are 33ug/g. I am interested in your idea of collecting a sample of these aircraft emissions as I think this would be the quickest way of deciding once and for all as to the content of these aircraft trails. I am a retired Financial Consultant with funds that I am willing to utilise in this manner, hopefully to prove my concerns wrong. I also chair several committees whose members I intend talking to this weekend about my unease, despite the peculiarity of my discussion I am well known and expect to be taken seriously. You I and many others are realising something out of the ordinary is occurring in our skies, we also realise that if it was for our benefit it would be highly publicised and without doubt taxed. Please email me to discuss your ideas. So what exactly was your barium level? And why did you have to go to India for the therapy? And you contend that millions of people are also sicked with barium poisoning, but don’t know it? You fail to answer most of my points. I look forward to you posting the full content of the textbook if you can be relied upon for such unless you simply bluff. You have no knowledge of my childhood so gtf. The majority of individuals know little about nothing. Cutting energy usage sharply to reduce greenhouse gases could disrupt the economy and lifestyles of Americans. 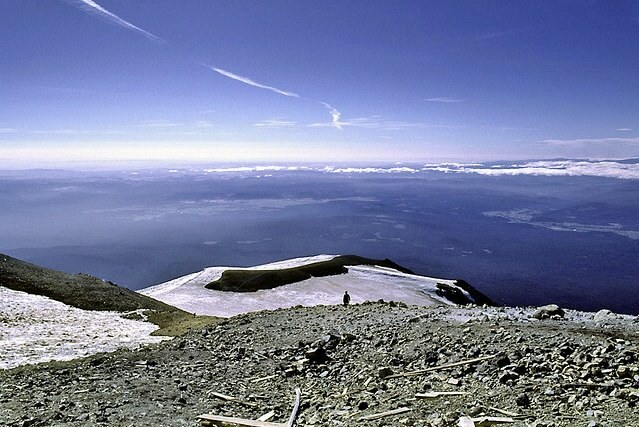 Some scientists suggest tinkering with Earth’s climate, a solution known as geoengineering. The U.S. government takes them seriously. Earlier this month, the Energy Department announced it would spend $25 million to study techniques for socking away carbon dioxide in places where it can’t escape into the atmosphere. Among the projects the agency is funding: research on pumping carbon dioxide from power plants into coal seams, and studies on ways to soak up carbon dioxide with trees, which incorporate the gas into roots and branches. One idea is to harness the power of plankton, tiny ocean plants that absorb carbon dioxide. In some places, low iron rates limit its growth, so why not dump in iron and let plankton bloom? The government has funded small tests and plans a larger trial. Other ideas stretch the imagination. Scientists have proposed fleets of Mylar balloons and giant orbiting mirrors. Other ideas make use of an air pollutant called sulfate that reflects sunlight. One scientist has suggested giant guns that shoot sulfate particles into the atmosphere; another would send up a fleet of extra-dirty jets to spew sulfate into the sky, forming a planetary sunscreen. Note that this entire section is sixth out of a list of much more reasonable classes of ideas, and the “extra-dirty jets” that are also mentioned in the science book are listed here last, under “ideas that stretch the imagination”. No, I’ve not read the book. But part of science eduction is to stimulate the scientific imagination of young minds: “what if…. ?” type questions. This would be a good topic for discussion, especially as it’s a bad idea. Why should it be off-limits? You have lifted my heart. There seems to be light at the end of the tunnel after all, I think heaven just sent us an angel and her name is Caroline. Caroline, I will contact you in due course, I look forward to discussion with you regarding this matter. I seem to have made an error in my last post. Both mine and my daughters Barium levels were >33ug/g, normal levels are <10ug/g. My son who seldom goes outside had a level of <5ug/g. If the Barium in my body comes from our breathable air then I do contend that there will be many others with similar levels. It was not just a week of heavy chemtrailing and a few dead trees that concerned me, it was/is the recent big increase in people I know personally getting sick and dying. Two young healthy men in my immediate circle have suddenly died of brain haemorrhage, my 19 year old nephew was last year diagnosed as having a brain tumour, thankfully he received treatment in time to save his life. We are told to expect a massive rise in deaths due to Cancer but not given a reason. These and many other reasons are causing me and others grave concern, it is time to act instead of sitting at home speculating. Do you know Uncinus we are told here in the UK that your chances of dying prematurely increase ten fold if you work outdoors, we are not given a reason why, we are treated like children and given facts without explanations, this is not good enough. Maybe these strange trails which linger above our homes in strange formations for hours and hours are not to blame but maybe, just maybe they are. I had my treatment in India for several reasons. 1. I have a house on the beach which I visit every year anyway. 2. The cost of treatment in the UK would have far surpassed the airfare and treatment. 3. Doctors in India are familiar with heavy metal poisoning and treat many Europeans each season. 4. I had the year before decided to study microbiology and found it financially viable to do my studies in India. By the way, during 2004 many people and cattle were drowned in Northern India due to chemtrails and weather manipulation, this is not conjuncture but a known and accepted fact, it seems it is only the so called west that hides it’s misdemeanour’s from those affected. I’m not denying your high barium levels – I’ve no way of knowing if that’s accurate or not. Assuming it is (and 33 is a VERY high level, average is normally around 1.5), you know that barium is naturally excreted by the body, so if there were no new barium coming in, then your barium levels would naturally go down to normal levels. So given that – if it actually came from chemtrails, then will it not just go back up again, and will the people who did not get chelation all start dieing? And how do you even know it is from chemtrails? Surely there would be lots more reports of elevated barium levels. Why is it just you and your daughter? And why does the air indoors have less barium in that the air outdoors? Do you filter the air before it enters the house? It’s the same air. We are told to expect a massive rise in deaths due to Cancer but not given a reason. They do give you the reasons – but there are several reasons, and they are complex. In part it’s because people are living longer, and so they are more likely to die of cancer (as treatment for other conditions improves, men who would have died of heart failure are now dieing later of prostate cancer). In part it’s because of better detection. In part it’s because of changes in lifestyle, with more people overweight, more sun exposure, more binge drinking. Do you know Uncinus we are told here in the UK that your chances of dying prematurely increase ten fold if you work outdoors, we are not given a reason why, we are treated like children and given facts without explanations, this is not good enough. Increased sun exposure leads to a 400% higher risk of skin cancer. Outdoor jobs are generally lower paid jobs, and poor people have shorter lives than richer people. Outdoor jobs are more dangerous, and you have a greater chance of accidental death or life-shortening injury on the job. If it is a known and accepted fact, then why is there no reference to it on the internet? You seem to have very unusual ideas about health Caroline, and you are living in fear because of them. I urge you to consider who or what your sources of information are, and in you might be better served by adding some more reliable sources. In my opinion, whether these trails contain additional substances or not, we still have a huge problem with the general vandalisim of the sky. This damage alone is worthy of full investigation and changes must be made in air law (CAA) and military practice to end what is essentialy a statutory nuisance. Caroline, I hope you and your daughters recover fully. I was aware of the barium findings in humans in USA and I am shocked to learn your family have ingested the same substance. 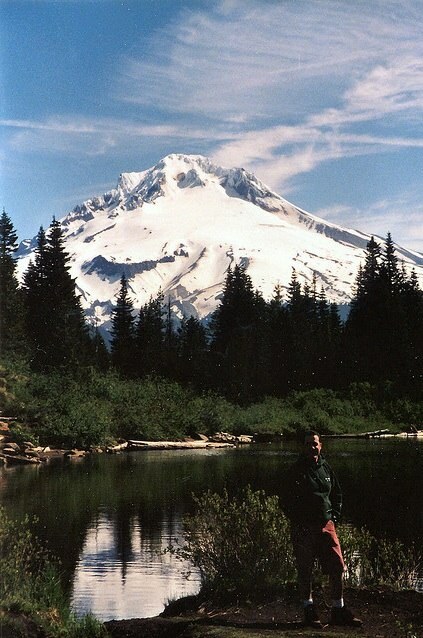 I think I will subject my family and self for testing as you advise, we are very much outdoor people too. Testing for barium in cattle may be something which has been done here in UK, perhaps we may find an interesting correlation, they breath the same air as us. In my part of UK I can clearly observe an abundance of tiny fibres in the air which gives me concern for the health of our lungs, airways and eyes. My local council have very recently tried to sample these fibres with a grease plate and I am currently waiting for the result. Again, I hope I am wrong with all of this for the good of us all. Perhaps Uncinus is right, but unfortunately he has no hard data to answer any other event other than the appearance of a contrail. I hoped I would find an answer to most of my observations by means other than physical sampling, unfortunately I have failed. Uncinus, please remember that the weather is still a bit of a mystery even to those who study it. If it were fully understood forecasting would be simple and accurate. I know you like things nice and scientific, orderly and in obeyance with accepted theory, so do we, but we have learned that life is not always like that. So please dont struggle so hard against the ever rising tide of sceptics, we are not paranoid, just observant and concerned. Please take what you read from Caroline, myself and others and accept it as data, yes it may seem meaningless because no one has made sense of it all yet, but you have to accept that all the chemtrail stuff on the net and indeed the very existence of your web site leaves little doubt that a real event is taking place. I have tired on this subject and now we need closure. I am more than willing to actively seek resolve and I thoroughly look forward to further discussion with Caroline by e-mail. So the popularity of a subject on the internet is somehow proof that the subject is scientifically valid? Would you then think that otherkin, UFOs, ghosts, angels, gang stalking, and levitation are all scientifically valid? Data would be some actual numbers. Photos, videos, measurements, observations over time. The chemtrail theory has none of this – just anecdotes. Much like the stories about the otherkin – a subject which enjoys nearly as much popularity as chemtrails. Uncinus, just as I expected, you can only handle numbers and hard fact. You have a thoroughly closed mind and seem short of consideration when you reply. Lots of people have experienced things which have no scientific explaination, this does not mean the event is false or they are mad. You may actualy see a ghost, angel or chemtrail one day whilst eating a barium meal but you will fail to recognise it because there will be no hard data and it does not fit your expectations. I would like to remind you that the US and UK military invaded a whole country based on false premise, and they are still there despite the lack of data. I trust you have told them that they are suffering from apophenia. I would certainly like numbers and hard facts. Eventually those are what tell the tale. Like with the US in Iraq, and the WMDs – eventually the evidence showed that they were not there. People experience odd things, and they seek explanations for them. On this site I’ve given explanations for the persisting spreading contrails, yet some people still insist they are something unusual – despite all the evidence. The problem with you dismissing “hard evidence” is that is the WAS actually something going on with the weather, then hard evidence would be VERY EASY to find. You’d just need to show that the weather had changed via some measurements over time – measurements that ALREADY EXIST. You don’t even need to do the measuring. You could also provide some evidence of “strange clouds”, simply by photographing them. If you do this often enough, and document when and where you took the photos, then that is “hard evidence”. Instead, we have anecdotes. Why would you use anecdotes when hard evidence should be available to you? 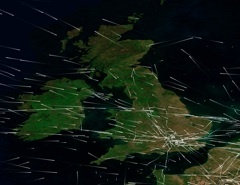 Uncinus, there is a satelite image from UK met office (poor quality) which I was curious about. Sorry I cant send you a link or the file but I am sure you can find a much clearer image. 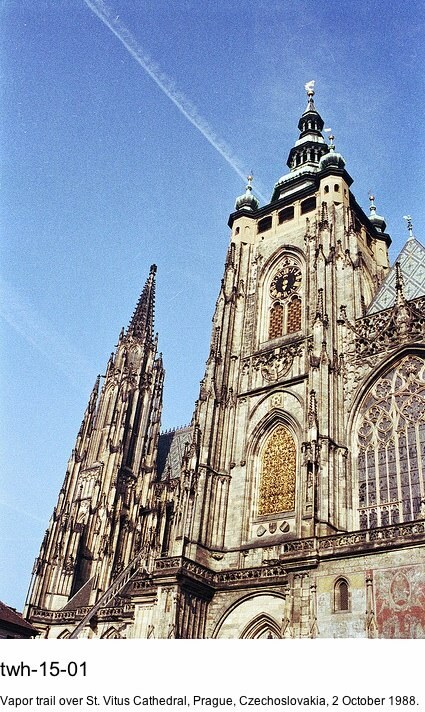 The date is 26 April 2008 0600 utc. It was a visual image, not IR of the UK. Could you please have a look for me and tell me what you think? Also please post a link for the image so I can look at a clearer version. I am open to your expert opinion as I feel I may have found some contrails to the west of the country. Well I’m not sure, the res is so large it does not fit the page. Perhaps the image does not cover the west. The image I have shows Ireland with a thick band of cloud passing close to the west coast and moving north which seems to have contrails crossing it. Please try again, thanks. You can scroll it you know. click on prev and next for alternate dates, and click on “View Aqua Image” for another satellite view taken at a different time. No, I cant understand why the image is so diffirent. Are you sure of the date and time? The image I have is correctly dated and timed and came directly from the UK met site on the 26th April at 0600 utc. I can tell at a glance that this is not it. There is a heavy cloud street heading up the west side of Ireland in the image in question. Please have another go. Clouds vary a lot through the day. Note the Aqua and Terra images are different (and both images are made from two other images stitched together, probably half an hour or more apart). I’m not sure what you are even asking here. Why don’t you just show me your satellite photo? Yes, that’s a lot of contrails. Click on the 1km and 250km photos for close up. The terra photos also show contrails. Found the correct date number, it is 2008-117 which is 26/4/2008. We need the images from 5am in one hour segments to about 11am but I cant find them. These photos are not from geostationary satellites. Terra and Aqua are Sun-synchronous orbit satellites which actually circle the entire globe at a low altitude (500 miles up or so), meaning they only see a bit of each at a particular time during the day (the same time). The advantage is obviously that they cover then entire world – the problem is you can’t get a shot from any other time. Not really high resolution enough to see contrails. Perhaps though, if you can explain what you think you see, we can discuss that? I cant simply post or mail you these images because the pc I am using from home runs no mail otherwise I would let you and others see some of the more interesting contrail/cloud pics I have collected over time. I will try and burn some pics onto a disc and mail them to you from my work pc unless before then you can find the satelite sequence yourself. However you have the correct source, very low res as you can see. The image from the 26th shows lots of contrails where you have already noticed (south of England) but the contrails which cross the cloud running up past Ireland look like cross stitching. I can count about 22 but think there may be many more which start and stop just above the cloud bank. Almost all the trails form a point with its neighbour giving a cross stitch effect. These trails must have been created within a short time of one another and fade together as the cloud moves north. There are also lots of trails (given the time of day) over Spain and France although I had not particularly questioned their existance. This is at 6am and the trails seem clearly patterned as if targeting the cloud. This air mass drifted over Scotland later in the morning and we suffered the most bizarre polluted sky I have ever witnessed. There were cumulus giving about 50% cover on a light westerly with no high level cloud but the blue sky was a filthy grey blue and the sun struggled to shine through between the cloud. There seemed to be some substance which tinted the air and visibility was very poor at ground level. This gave a very odd effect, I took some pics but they completely fail to show the condition of the air. I have seen plenty water vapour in our air, living on the east coast gives us plenty mist so I know how it looks and feels but this was very different. I usualy see wet air as a white haze when the sun shines on it, there is usually dew but not that morning. I then went to the met site and found the satelite images which prove many aircraft flew through that air before it arrived over Scotland. Now I realy dont know how many planes make their way over that area at 6am but counting the trails seems to suggest an unreasonable amount of activity. Later that day at 2pm exactly, an aircraft leaving a lasting and quickly spreading trail flew over, then within moments another, then another and so on, all leaving lasting trails. Sixteen aircraft movements were counted in the small patch of sky within 1hr 20mins, (that is one every five minutes) all leaving a lasting trail. All the building cumulus died within no time and the sky filled with depleated trails blowing in on the wind. The weather front could be clearly seen as it moved over us bringing 100% texturless grey cloud cover and the aircraft activity stopped as abruptly as it started. At 5pm a gentle low level east wind picked up under the front bringing moist air in from the sea, there was no rain although the conditions had looked right early on for overdevelopment and rain and the forecasters agreed. See what you think if you get the right images. Bruce, you could try opening a GMail account, it’s free and easy to use for uploading photos. 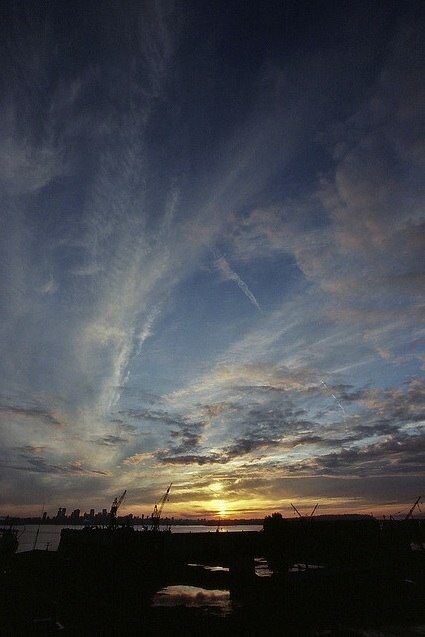 Having not seen your photos, I’ll go by the Aqua and Terra images: both of which show a lot of contrails. You suggest this is “an unreasonable amount of activity”, especially by . However, there are LOT of flight between the US and Europe, most of which go over this area. A quick search on Expedia reveals seven flights from Los Angeles to London, Six flight from Los Angeles to Paris, – the total number of flights must be in the hundreds, so it does not seem surprising to me that there are times where there are a lot of contrails. All it takes is for the region where contrails form to be large enough, and for the conditions to be right for contrails to persist. And Contrails DO create cloud cover. They sometimes spread out to form a layer of cirrus clouds. All science agrees on this. The cloud layer south of Cornwall in the Aqua photo is probably intensified by the contrails. But if you look at the larger picture, it seems to be part of a broad sweep of cloud across the British Isles. Cumulus clouds do not always develop into rain clouds. I doubt if you are seeing the correct image. The image you link looks like 8am which does not show the trails, it is the 6am image which shows clearly the cross stitch effect. I do not think the contrails created cirrus here and I understand that cumulus does not always give rise to rain. 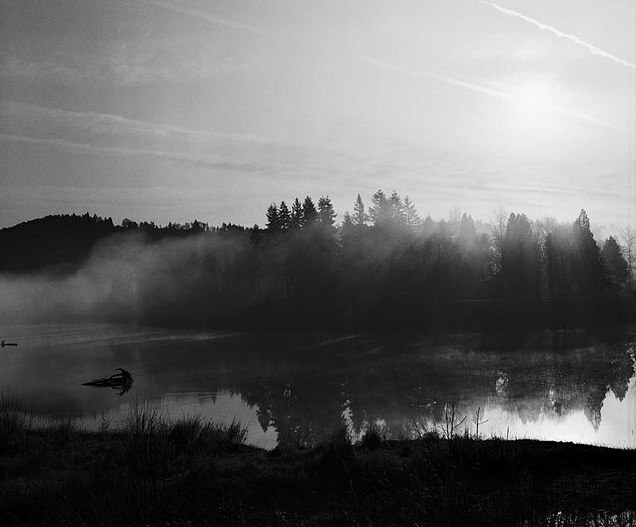 Indeed as I run the sequence the cloud becomes hazy and fades in the areas where the trails are seen as it moves north. Despite the sun coming up it fades whilst the cloud which had no contrails over it seems to remain bubbly. The images I have are clearly edited, a fuzzy patch suddenly seems to cover certain interesting areas. I have always meant to find out what the lifting index was for that air mass but have not researched that yet. Yes I must sort out my pc to post from home. New world record for contrail duration 11 hrs. South west of Ireland at 3pm on 4th May contrails are created. The satelite images clearly show the contrails sustaining for a full 11 hrs and the air has now drifted over my home and once again the sky is horrid grey colour. The jets are here in force right now, loads of trails everywehere and it is only10.30am. 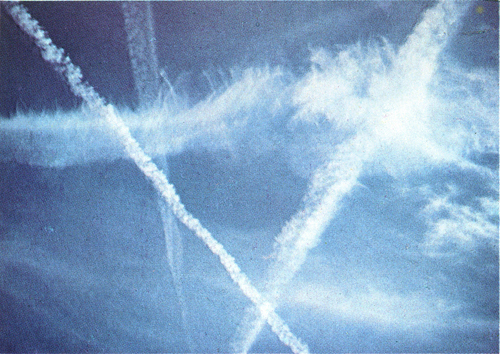 Bruce – contrails are clouds. How long do clouds last? I looked at the sequence of satellite photos for that time frame. You see a contrail form at 1400 UTC, SW of Ireland. By 1900 UTC, it has been distorted and broken up – essentially just becoming part of the cloud system that is moving in. So where to you get 11 hours from? Don’t shoot the messenger, I just say what I see. The satelite image available to the UK public clearly shows the contrails (not clouds) sustaining discernable shape for a full 11 hour duration. Why do you insist these are clouds Uncinus? The fact that they were catalysed by aircraft activity and did not originaly manifest themselves by natural cloud mechanics obviously makes them contrails. So I have shown clearly by independent means that contrails did last for 11hrs or more. Are these the longest lasting contrails ever? The first contrails are visible at 1400, and by 1900 those contrails are indistinguishable from the nearby clouds (although some new contrails have come along). So what images are you looking at? Ahh, you have the visual, try the IR. I counted incorrectly, I must conceed, they persist for nine hours of duration not eleven. Still, this is a long time for a contrail don’t you agree? No, I don’t think it’s a long time at all. The contrails persist just as long as the surrounding clouds, just as would be expected. Contrails are a type of cloud. I am struggling to comprehend your reply here, if 9 hrs is not long duration then what is??? Can’t find anything about contrails lasting this long anywhere. Again I must stress – contrails are not clouds – they are contrails. They at very least contain water and pollutants which have been placed in the air by un-natural means. If there was no difference then we would not have “contrail science” we would have “cloud science”. You of all people should know the difference surely. Contrails are not natural clouds. However, meteorologists and scientist consider them to be a type of cloud. Have a look in any books on clouds, and there is usually a section on contrails. So, they are artificial clouds. Hence they last as long as clouds do. Actually they often last longer, as the particle density is generally higher than in natural clouds. We have “contrail science” because contrails are a very specific type of cloud. How long do you think a cloud visible to satellite should last? Again, the contrail in your images lasts no longer than the surrounding clouds. If there was no cirrus cloud in the sky would this mean the air mass at that height was at a lower humidity than required to form natural cloud? No. Air can be supersaturated with respect to ice without condensation occurring. Ice nucleation (the starting of an ice crystal to form) can occur both with or without ice nuclei, depending on the temperature, humidity and pressure. If there is high humidity and low temperatures, and no clouds, then the clouds are not forming either because it is not cold enough, or because there are not enough nuclei. Contrail clouds can form in clear air both because they increase the humidity, and because they introduce nuclei, mostly in the form of soot. If the air is supersaturated with respect to ice, then this new cloud may persist and spread. Thanks for your thoughtfull answer. Another couple if I may! Can persisting contrails form in the lower regions where no ice exists? Roughly guessing, what would be the minimum height to expect a trail to form if conditions were favourable? If the trail requires cold air does this mean the trail will always be ice? 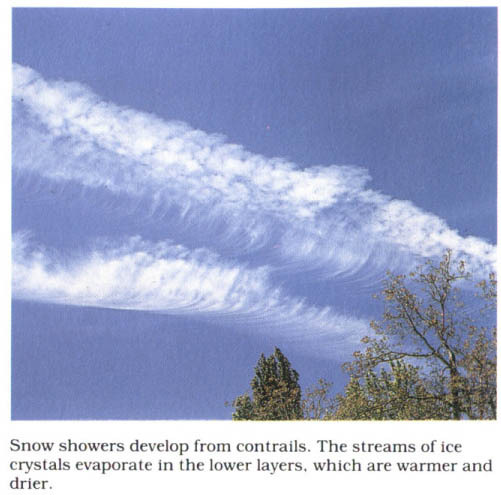 Can contrails look different because one may be ice when another may be cloud? That depend on what you mean by “no ice exists”. Persisting contrails need humid air, and low temperatures. So they can form at any altitude where those conditions exist. Even at ground level – at -40 degrees cars and even animals can produce a kind of contrail. Look up “ice fog” – it looks like normal fog (which is composed of tiny drops of water mist), but it’s made of ice crystals – like contrails. See above, any altitude – but generally the cold temperatures required are found at above 26,000 feet. For must practical purposes, yes. Water CAN exist in a supercooled liquid state, but only between 0C (32F) and -20C (-4F). But persistent contrails are generally formed at -40C (-40F) or colder, and water is always ice or vapor at that temperature. I think you mean “one may be an ice cloud when another may be a liquid mist cloud?”. Technically yes – you can get water contrails at a low level by flying through very humid air. You see these when landing in bad weather sometimes. Often these contrails are vortex contrails and not engine contrails. However, I think most of the contrails you are seeing are ice contrails, and the differences are due to different weather conditions, and different types of plane flying at different altitudes. 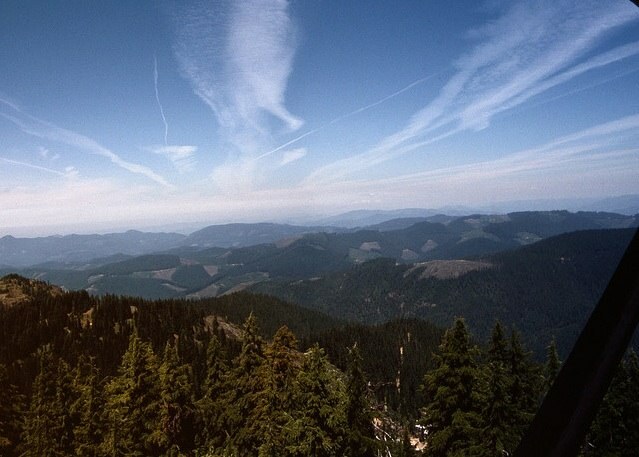 Note that contrails are included in the classification as a High Cloud. And if you really want to get technical, note that the way water transitions between liquid, gas and solid is rather complex, and not simply a function of temperature. Thanks again for a nice full answer. Something which I have noticed is a lack of cumulus (especially over developing lovelies) cloud in nearly all “chemtrail” related videos on Youtube etc. I have seen small dark low cloud on a few but a random click mostly shows no low cloud. My own pictures seem to show the same. I had considered that people will film when visibility is unlimited by cloud but watching the sky myself I have noticed a complete lack of trails when (50%) low level clouds are in abundance all day. On the few videos I have found which show cloud, the cloud seems to be limited to a thin line which exists within a narrow band 500 feet thick or maybe less. Would only very short trails be produced on these days or could persistant trails still manifest? Does the lower, warmer humid air have a direct effect on the state of the higher air mass in respect to contrail promoting conditions? Can the upper air mass influence the lower air mass to promote or supress cumulus even though the lower air mass conditions are very favourable to cloud birth? I hardly ever see cumulus here in Los Angeles. You’ve got to look at the location of where the video is taken. In Scotland, like most of the UK, the weather is determined by systems of low pressure (which bring low clouds) and high pressure, (which bring clearer skies). I think you’ll find there are more contrails when transitioning from a high pressure system to a low pressure system – hence the contrails generally precede the cumulus. There is obviously going to be some correlation between the air at high and low altitudes – but this can vary greatly. The boundaries between air masses are not perfectly vertical. Uncinus, can you advise me where to obtain decent online past and present satelite images for my little island? The only stuff I can find is very low res. It seems to me that anything that is in the sky above…in particular, particulate matter in the aerosolized form of supposed “chemtrails”…would not fall down on the earth directly below but instead drift for 100s and 1000s of mile with the upper winds…if ever actually fall. Bruce, the MODIS images are great. Very high resolution, cover the whole world, and have about 2 years of daily photos. They only take two photos per days though (one per satellite), both taken around noon. (Scotland is unfortunately cut off a bit). CSK, the fall rate of aerosolized liquids and solids depends on the droplet size, air pressure, and the air convection currents. In this context it’s important to remember that clouds are aerosols, and contrails are a type of cloud. You don’t see clouds dropping out of the sky. It’ pretty obvious that if a trail is persisting and spreading over the sky then it’s not falling to the ground any more than a cloud is. If, for the sake of argument, something was being sprayed out of the back of a plane that fell at the rate of 1 foot/second, then it would take 8 hours to reach the ground from 30,000 feet. Since the winds over that range average around 50mph, it would end up 400 miles away. Uncinus, thanks for these links, they are great. Please have a look at the images of the west coast of Norway from yesterday morning (I dont have any good ones) and tell me what you think of the trails there. It is not a main flight route but shows extensive trails for some reason. The trails over Ireland are quite numerous too. I would love a clear copy of the sat image for Norway. Bruce, I can’t really help you unless you show me the photos that you are looking at. But it’s a bit harder to work out exactly which image is where. Thanks for the link, I see what you mean about it being a bit confusing, plenty of plates. I saw images from the crappy met office UK yesterday. Think the IR was the one which caught my attention, there was a realy startling number and size of trails just west of the Norwegian coast and Ireland but I forgot to save it and cant get the image now. I didnt expect to find heavy air traffic in that part of the world. Thanks again for the great links. There are many flights from Eastern Europe and the Middle East Canada and the United States that pass through that general region. 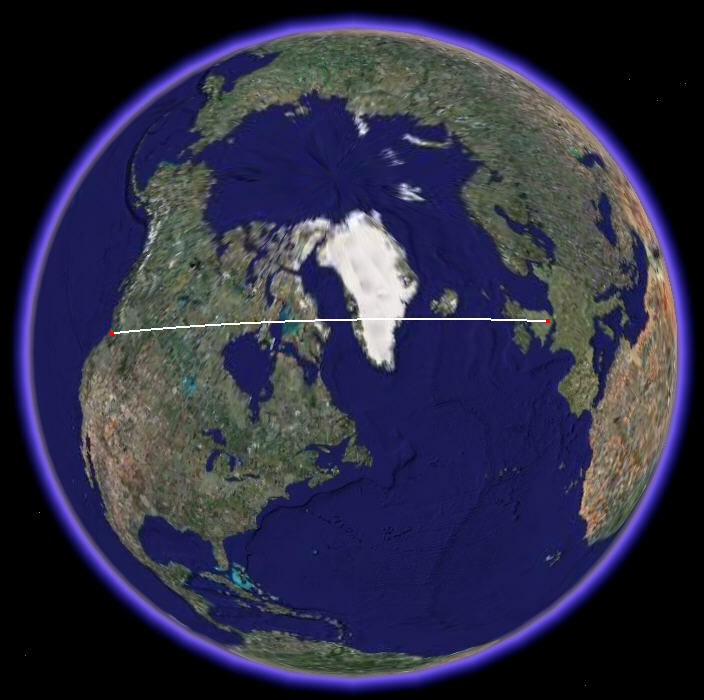 Try downloading a copy of Google Earth, then use the Ruler tool to draw a line between two cites, like Seattle and Warsaw, or New York or Chicago and Moscow. Too many trails appear all at once, something is not right. If you look you can see how the trails suddenly appear all within two hours. There is no way so many flights pass over this part of the world all of a sudden. Same thing happens to often, you should realise this too. More over the trails are too random to be a flight path. My own personal photographs show random flight patterns over my patch when the contrailers are out to play. Again watching the sky the other day when clear revealed just how little air traffic passes over my patch. Yes I know you will say I missed seeing most of the flights because they left no trails but it is so obvious as there are only aircraft passing west of here on the air corridor as it was before the random contrailing. I regularly see markers placed in the sky, it is realy obvious that is what we see. These are clearly used to track air movement by satellite so they know where to drop the stuff or where it has driffted. You are very lucky if weather modification is seldom or never carried out in your area, we suffer here fairly regularly but often the weather mod is carried out over the sea so the effect is harder to spot. I can now tell by the colour and texture of the sky if the air has remnants of the treatment contained within, we get all sorts of effects, black sunsets, wierd black low cloud which never brings rain, wierd squashed cumulus hopefulls with fuzzy edges, cloud which is a completely different colour from fresh rising cloud etc. I could show you pictures but if you never knew how the sky here used to look you would perhaps never understand how different things are now. It is a weather fact for my area that when we get an east wind or especially south east it will rain. Recently we have suffered east winds with no rain, just wierd dark low cloud. Another anomaly is gusting strong east winds with no rain, again this is not usual. We have had rain and snow on a north wind several times, again this seldom or never used to happen. The air was usualy dry if from the north and would be a steady 20mph at the most. Another wierd thing which now happens is long periods of huge gusts descending at night despite there being no (pressure induced) wind. Unlike most who surround me I am very familiar with my sky and can asssure you it has been molested. Having trudged through lots of old pictures I have failed to find any which show sky conditions which we often have today. Even without the appearance of contrails I would still have noticed a difference in the cloud forms, infact rumour has it that America has been modifying weather (chemtrailing) for a number of years longer than us, well I had noticed a change in the wind patterns here a few years ago and said repeatedly that the weather was wrong to my flying buddies. This makes perfect sense if true as most of UK weather comes on a nice low from the Atlantic. I was always hopefull a good southwesterly wind was going to blow and recover the weather here but it never did, instead we have chemtrail looking things now and strange cloud. So if the contrails are not causing this then why do they pop up at the same time as strange weather? What is this HAARP thing being played around with? If I were to believe this machine to be capable of microwaving my sky then I suppose that is what I may see sometimes. Sorry Uncinus, I realy have tried to convince myself that this all in my mind but it is all in my sky and all over the satellite images to prove further that it is real. The very existance of your site confirms this further as do the videos of UK skies affected by the opperation. Too many anomalies exist for the whole thing to just be ignored and put down to an increase in air travel. No evidence exists yet either way so perhaps we must agree to differ on this one, but time may tell. Bruce, I can understand how you might think as you do – but I disagree with you. I disagree with you because you are unable to produce any evidence to back your claims. All I have to go by is you account that you think that the weather is different, and that this is connected to an increase in contrails that you don’ think is coming from normal air traffic. I think though, that you are simply mistaken. Do you really think that all the amateur meteorologists in the UK (and there are a lot) have simply overlooked this, or are part of the plot? And even if they are, then why cannot you produce any data to substantiate your claims? If the weather modification is too hard to measure, then clearly it is not working. The weather varies a lot from year to year. Our memories of the weather are often fixed by particular times. Has the weather changed? Yes, obviously it has – but it’s always changing, it’s been changing since the birth of the planet. Are there more contrails now? Yes, obviously there are, because there are more planes. Is there a connection – not that there is any evidence of? I’m sorry – but you really need some actual evidence. That means evidence with numbers in it. What methods would you advise I use to collect this data quickly? You make several claims, but phrase them very inexactly. We have had rain and snow on a north wind several times, again this seldom or never used to happen. The air was usually dry if from the north and would be a steady 20mph at the most. How exactly do you know “The air was usually dry if from the north”? What is “several times”? 3? 50? You need numbers. How dry? How much rain? What has changed? To be honest, it just sounds like you THINKING the weather is different. Perhaps you should ask a local amateur meteorologist if they agree with you – that would be a good start. People keep records. Find some records, and show that there has been a change. Good grief, it’s going to be another full time job doing that and after finding any change it will be dismissed as “global warming” for sure. I will continue to hone my apophenic illusion, hopefully all is indeed well and not as it appears to me. Thanks for your thoughtfull comments on this subject. Uncinus, have a look at this and tell me what we are seeing here. We are seeing contrails being formed from the inner engine. It’s viewed from the emergency exit at the rear of the plane. When the camera turns to look straight out (0:20) , you can see the contrail being formed from the outer engine as well, at the same distance from engine. Contrails normally form some distance behind the engine. The exact distance depends on several factors, including the speed of the plane, the engine power settings, and the temperature and humidity of the air at that point. And imagine what you would see, looking out of the rear emergency exit (which you can see, just before the tail section). So the video shows three spray patterns within the trail. I find this an unusual feature in jet exhaust. Also I do not think this was a commercial flight. Who are the “sky team” with the chemtrail logo on the sticker inside? If you think about the temperature in the exhaust efflux it seems unlikely that ice would form there. The links you post seem to show recent photos and prove quite clearly that the site owner picked only pictures with lasting trails (for some reason) or proves all passenger planes now leave huge polluting contrails all over the sky, which is exactly what everyone is so angry about. 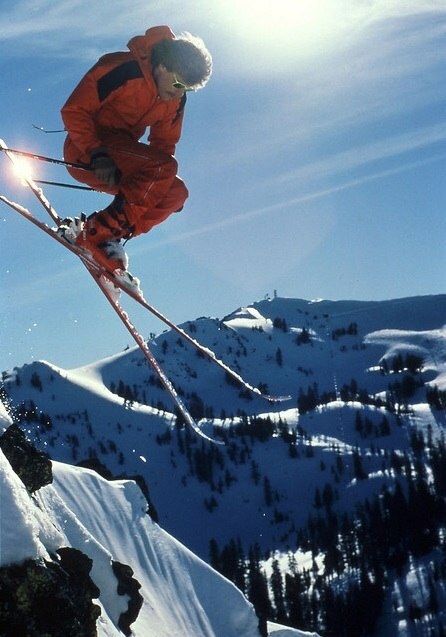 The experts claim contrails only form when the conditions are right, and have stated lasting trails are quite rare. This is true as you know, so the appearance in the last few years of huge spreading persistant contrails almost daily need further explination. Anyone who does not think anything unusual is going on in the sky must surely be either blind, an alien, never been outside before or never looked up. You have correctly pointed out that I have no proof that any contrails I have seen are comprised of any substance other than dog hair, but you also have no proof they are comprised of ice, you just assume they are. Your assumtion has little founding, it soley relies on what you have read in books. My assumtion relies on experience, observation and the overwhelming witness statements and photo evidence regarding the general condition of the sky. So does the sky above your house look like the ones we see in Jbreezes vids on the tube? If it does, are you happy with that? So the video shows three spray patterns within the trail. I find this an unusual feature in jet exhaust. Why do you think this is unusual? It’s just the way the trail breaks up due to the shape of the engine exhaust and laminar flow of air around the wing and the engine. Also I do not think this was a commercial flight. It does not, it forms a hundred feet behind it, in the frigid air. No, I was showing you photos of contrails, since we were discussing them. It was an collection specifically about contrails. If you want to see photos of aircraft without contrails there are a lot of them as well. They have not stated they are rare. In fact they state they are “a familiar sight”. The EB says “sometimes it spreads outwards to form a layer of cirrus cloud”, it makes no mention of it being rare. Where did you read that? But you are talking about 99.9999% of the population. Are you saying they never looked up? Or perhaps did they simply not find it unusual? My proof is the thousands of scientific papers on clouds formation, and on contrail formation. All of which agree with basic science of engine exhaust containing water meeting frigid humid air creates contrails. There have even been scientific studies that have gone up there and analyzed contrails, and examined the shapes of ice crystals they contain. Also, the fact that 99.9999% of the human population has not noticed any change is a good indication that there has not been any change. And sure, I’d prefer less clouds – I like blue skies. But I don’t really mind – I live in Southern California, with 300 sunny days a year, so a few more cloudy days is no big deal. I can understand how you’d like fewer clouds in Scotland though. Yes, I would like very much a little less cloud but especialy this east wind we have suffered for over three weeks to go away. I have carefully considered your answer and I understand the theory behind all this but again a satellite image set takes my attention. Again from the UK met IR satellite. Look at the contrails north of Scotland 27/5/08 from 7am onwards, surely they can not be all schedule flights to and from the far north. I find this image set just as curious as images I saw earlier this month where suddenly a high number of persisting contrails are formed off the coast of Norway. I also find it interesting how the contrails never seem to form at night, the IR would pick them up if they existed. Those are flights to the US and Canada from London and Western Europe. There are many such flights every day. Remember also that the trails can be blown several hundred miles in a few hours. That air mass is also rotating the trails clockwise, at 0700 they face more northwest, and by 1300 they are more north facing. 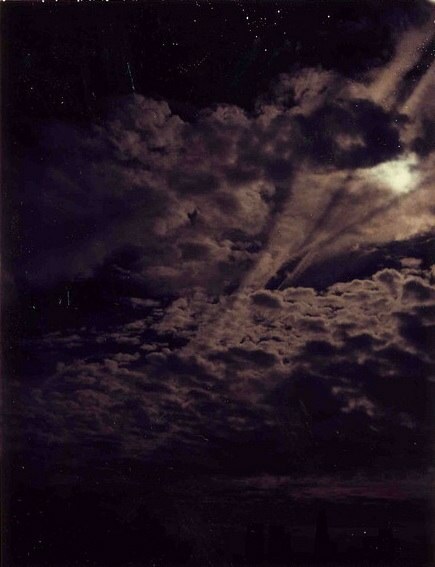 Contrails do form at night – I see them here sometimes, illuminated by the moon, there are just far fewer flights at night, as people prefer to leave and arrive in daytime. The trails I mentioned are not flights from London to Canada as they do not run in that direction. If you look carefully the trails are layed about 30deg to the parallel so proving the aircraft were heading way too northerly to reach Canada. Indeed now I have looked again I can see fresh trails layed in an almost north direction and lots of trails over a cloud bank west of Ireland some of which run very northerly too. Also these trails must have been massive to show up on the satellite image, proof of their size is confirmed by the fact that the lasting trails over my house never show up on these satellite images as they are obviously to thin by comparisson. The images prove they are not aircraft on route from Canada. The images also prove that they are much thicker than the trails I observe at home. I have considered this may be a side effect of HAARP and wondered if the aircraft were leaving trails because this device when in use changed the air mass in some way, or that some other substance was in suspension within the air mass therefore causing innocent pilots to kill the sky. Unfortunately if I believed that to be the cause I would be forced to ignore all the other anomalies which exsist within the subject. I would still require other explaination with regard to the shapes, x marks, sudden appearance, persistance, off flight path, colour difference, satellite image anomalies, grids, your website, lack of cumulus, public outcry and general strangeness of the sky. So I am still far from convinced that all is as it always has been, I also am thrown further into doubt when I examine the photos I have taken over the past months and the videos on the net. To ignore such a thing on the basis of belief they are only contrails would be bad science and foolhardy of both of us. If I see something brown on the clothes of one of my young sons and he tells me it is only chocolate then I would be a fool to just believe him and stick my finger in it, don’t you agree? What is the direction from London to Canada? It shows the shortest path from London to Vancouver, Canada. The paths to Seattle and San Francisco are not much different. This matches the satellite images you posted earlier. Now, if you could point me to some actual evidence, then I would be happy to discuss it. Show me one of your photos that you find so strange. And, you can’t seriously be saying that “X marks” are some kind of evidence of anything other that the fact that not all planes fly in the same direction. Or “persistence”? Perhaps you could quote something that says how long a contrail should last? Really, all these things have been explained. I tell you what – why don’t you pick the ONE THING that you think would be hardest for me to explain, and I’ll take it from there. Oh, and if it’s something like “lack of cumulus”, then please provide some additional evidence besides your own personal observations. The shortest route to a destination is not a straight line on the map. It is what is called in navigation a great circle as shown on the google earth picture. Interesting subject. Timelapse photography is the best way to observe contrails/ chemtrails. I live about 80 miles from a major international airport. I moved here about ten years ago. Sometimes the local clouds look really wierd. Google provided me with lots of stuf to look at and read, unfortunately a lot of it is crap. I got a cheap dual-mode digital camera atop a T.V. antenna rotator. Passenger aircraft routinely dump fuel. at first sight these fuel trails sort of look and behave like contrails. Over time the fuel vapour sort of morphs into dirty cloud like masses. These dirty cloud masses under certain conditions literally fall out of the sky, usually latee in the afternoon. If there happen to be cumulus clouds underneath the falling fuel haze, the fuel haze kind of falls straight through the cumulus cloud. the cumulus evaporates. Jet fuel vepour develops pendules just as contrails do. In my area the fuel is dumped at about 10 – 14 thousand feet. Jet fuel makes tankwater taste foul. beware! It was tricky getting the USB to work over the 14 metres of cable. One frame is saved every 5 seconds into an AVI file for review. Sundogs? only occur in jet fuel aerosol clouds. Use timelapse and you will see! Pat, can I see some of your videos that you think show fuel dumps? Perhaps put them on YouTube? I don’t think that fuel dumps are anywhere near as frequent as you suggest. Fuel is very expensive, and they would only dump it if they are over their safe landing weight. This only happens in emergency situations, when the plane has to return to the airport it took of from, or it has to land at a closer airport for medical or weather emergencies.